Head to Cabanatuan City via NLEX and SCTEX. Exit at La Paz. From Cabanatuan City, follow the road to Baler passing by the towns of Pantabangan, Alfonso Castaneda and Maria Aurora. 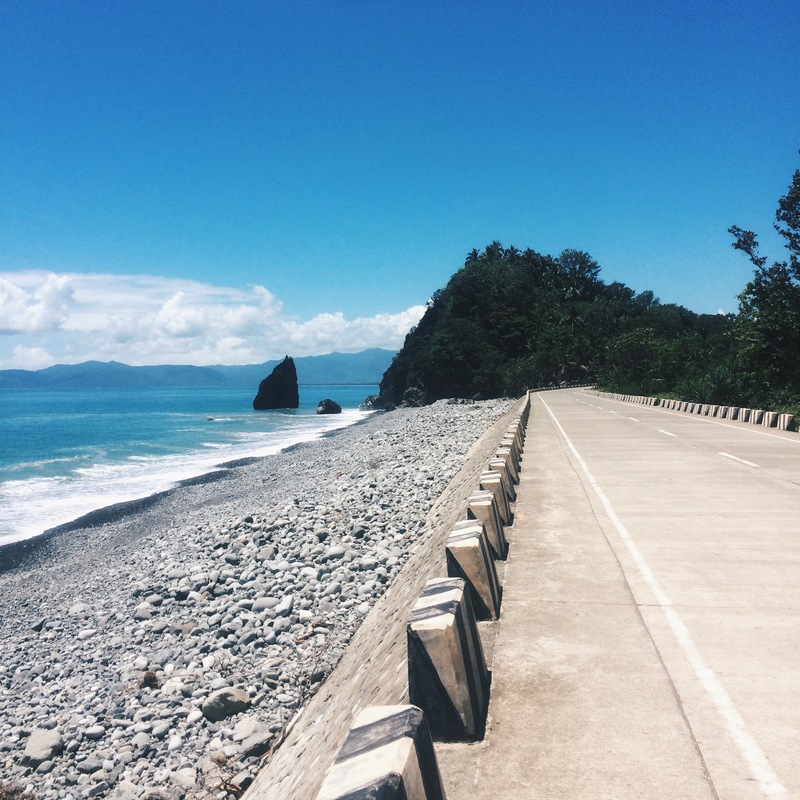 Instead of heading straight to Baler Town Proper, follow the Baler – Casiguran road. Dipaculao Beach is approximately an hour drive from Baler Town Proper. Take note that Dipaculao Beach is located 20 minutes after Dipaculao Town. We recommend getting a private transportation to Dipaculao Beach. The roads are well-paved and very scenic. 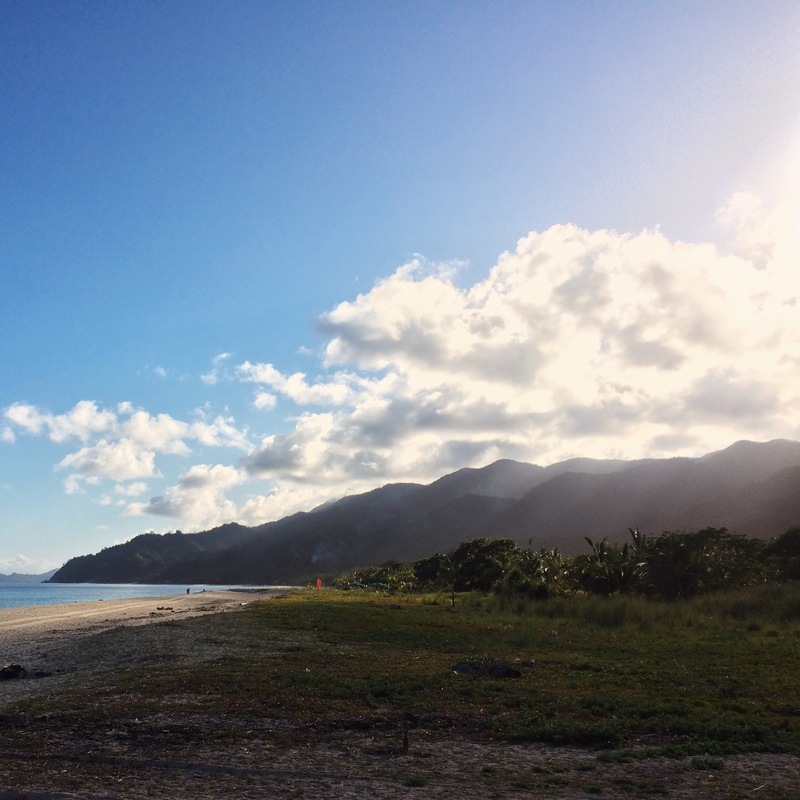 You’re going to pass by Ampere Beach, a long boulder beach just outside Baler Town. Take note of the unmarked view point just before the descent to Dipaculao beach. Total travel time from Manila is 6-8 hours depending on the traffic. We heard that there are buses to Casiguran from Cabanatuan City but we have not confirmed this. There are, however, buses from Cubao to Baler starting at P450. We also saw some UV Express vans plying the Baler – Casiguran coastal highway. Drop off at Dipaculao Beach. There are plenty of options along Dipaculao Beach. There are rooms for rent, inns and hotels. If you’re planning to stay at one of these resorts, make sure you reserve ahead of time since hotels easily get fully booked during weekends and peak season. Camping is also allowed along Dipaculao Beach, just ask the resorts for their camping rates. 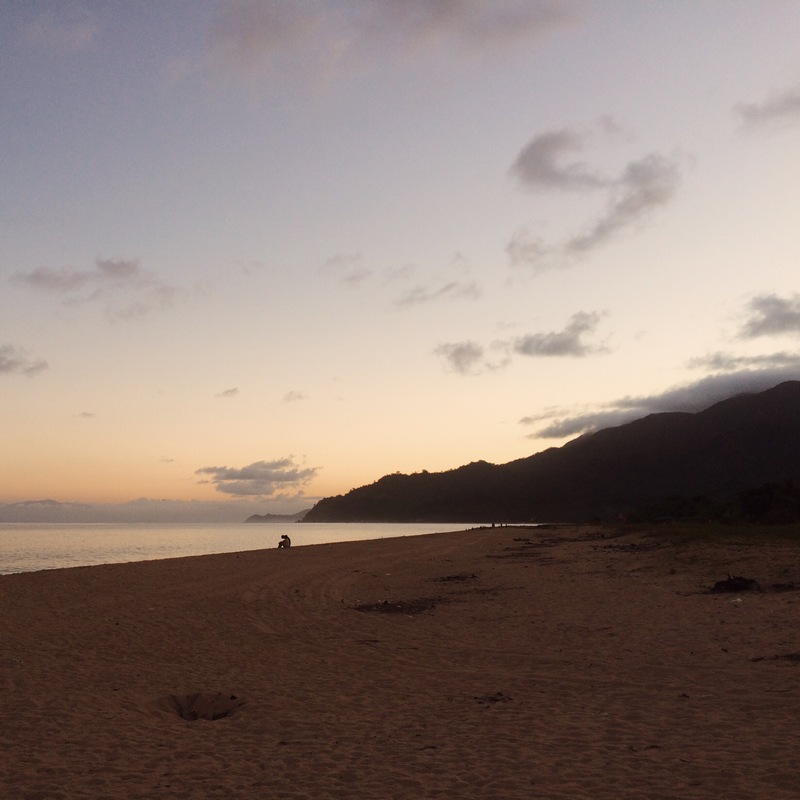 Since most resorts were booked during that weekend, we decided to stay in a quiet resort farm 20 minutes away from the main beach – Halos Farm and Resort. It was one of the most relaxing places we’ve ever stayed in. Plus, we were the only ones checked in! Check out their rates/availability here – Halos Farm and Resort. It’s a small quaint resort farm along the coastal highway to Dipaculao Beach. 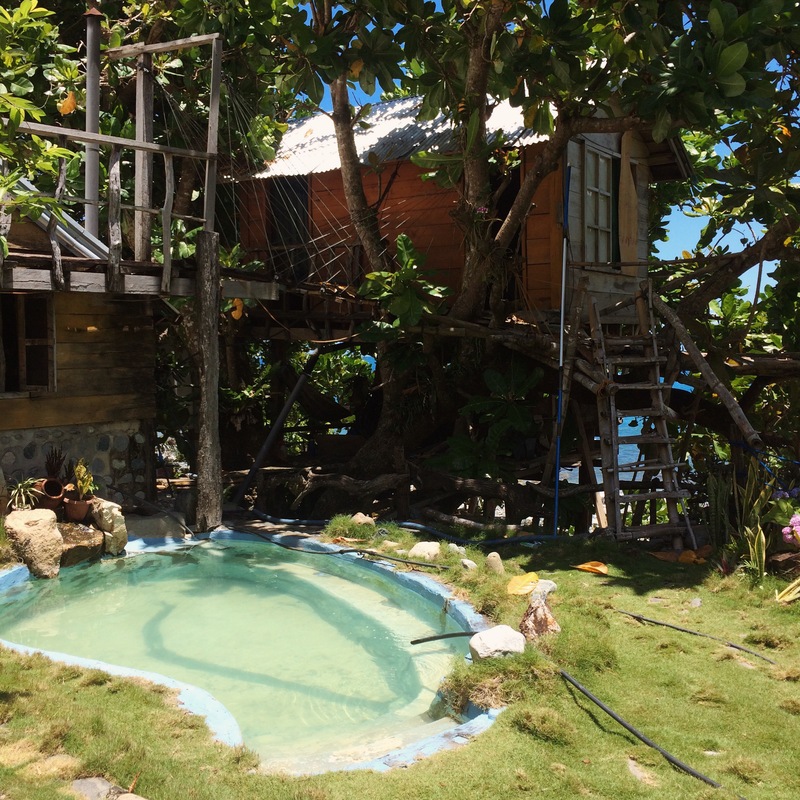 They have tree house fan rooms, air-con rooms, cottage fan rooms for couples and big groups. 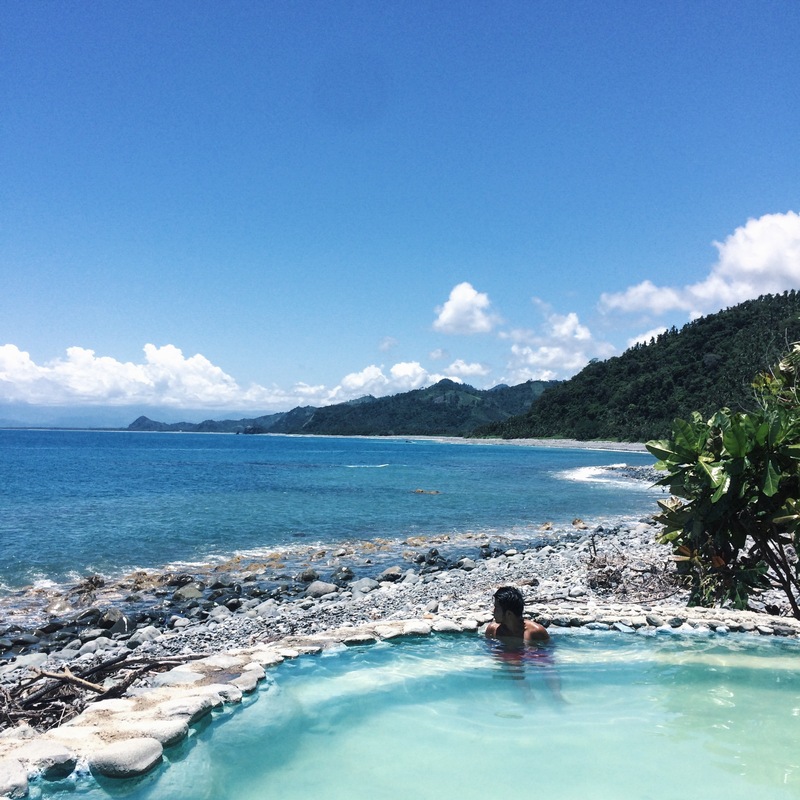 They also have three spring pools – with one facing the boulder beach. We recommend staying here. We are definitely going back again! Getting lost in Dipaculao Beach, Aurora Just an hour north of Baler, Dipaculao Beach in Dinadiawan, Aurora Province is an opposite of Sabang Beach: white, empty & quiet. Dipaculao Beach can be visited over the weekend if you plan on taking a private transport. Do not forget to pass by Ampere Beach. There are no gas stations along the coastal highway after Dipaculao so gas up before heading out. Just head to Baler and follow the road to Casiguran. We stayed during the weekend and unfortunately all the hotels were fully booked. Totally unplanned, we decided to stay at Halos Farm and Resort instead just 20 minutes away. Some resorts have day-trip rates averaging P50/person. The white beach spans over a kilometer longer than Baler’s Sabang beach, so getting an empty spot is very easy. You may set-up camp at some of the resorts. We recommend bringing your own food since most resorts do not have their own restaurants. For us, we just explored Dipaculao Beach for the day, looked for an empty spot along the kilometer-long beach and lounged away. The beach is very swim-able. The waves are strong in some parts so take caution. The sand is a total opposite of Sabang’s black sand – it’s white and fine. The vibes here are more laid-back and quiet. Totally unplanned, we stayed at Halos Farm and Resort for the night. It’s a very small resort farm located 20 minutes away from Dipaculao Beach. Again, we highly recommend staying here. You’ll hear the sound of crashing waves inside your room since the resort is just along the boulder beach. They also have an infinity spring pool facing the Pacific. It was such a nice discovery for us and we are definitely going back! Bring your own food. They do not have a restaurant. When we were there, we used their kitchen to cook canned goods. The next town is Dipaculao. You may buy from small sari-sari stores along the way. On our way back, we dropped by Sabang Beach in Baler for a quick lunch. 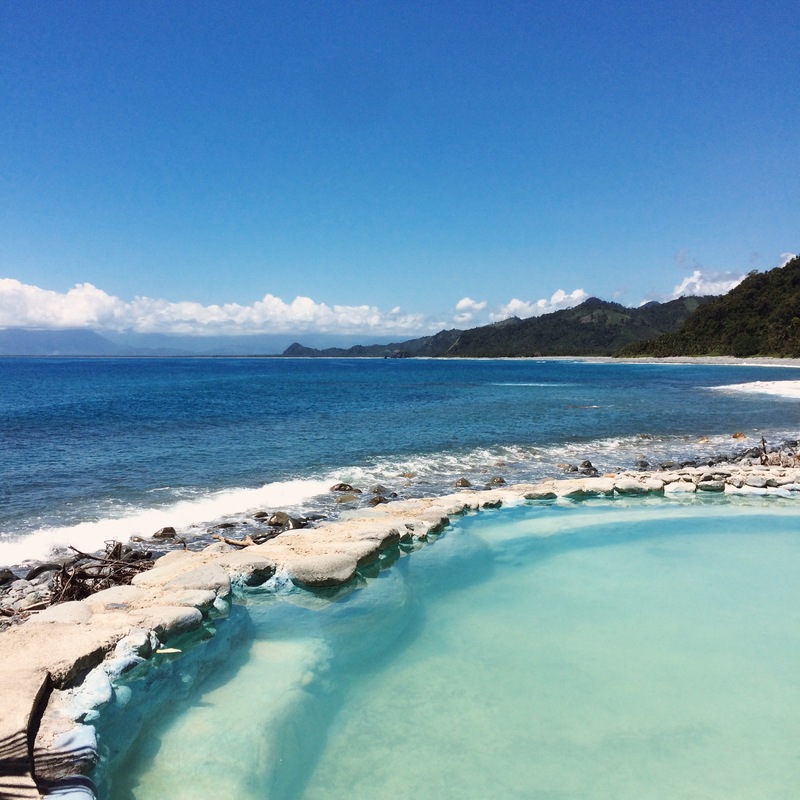 If you want to stay in Baler instead, it’s also possible. You may just day-trip Dipaculao beach if you have the time since there are more accommodation options in Baler than Dipaculao. Accommodation: P 2,000/night (Air-con room for two) Halos Farm and Resort – they have cheaper tree house and cottage fan rooms. Reserve rooms before going to Dipaculao Beach. Signal is good for major network carriers in Dipaculao Beach and Halos Farm and Resort. If you plan on staying at one of the resorts in Dipaculao Beach, make sure to bring your own food. There are grilling areas in some resorts. To save on toll-fees, we exited Sta. Rita and passed by the towns of San Miguel and Gapan to Cabanatuan. If you have tents, camping along the beach is a good option as well. Directions – Try to look for Dinadiawan beach since some locals refer to it as such. The beach is located exactly at Brgy. Dinadiawan which is a part of Dipaculao. Although, google maps calls it Dipaculao beach. Hi, what vehicle did you use? we’re planning to use TOYOTA HI-ACE. We’re trying to figure out how much we would spend on gas. Thanks! Hi. I just wanna ask, when you say camp in’s does that mean we can just stay there for the day? Im looking for beaches in Baler that we can just enjoy for the day and not overnight. This beach looks so nice and i’m wondering if they accept these kind of agenda. Plus, what’s your opinion of a day trip only? Is it going to be worth it or short lived?